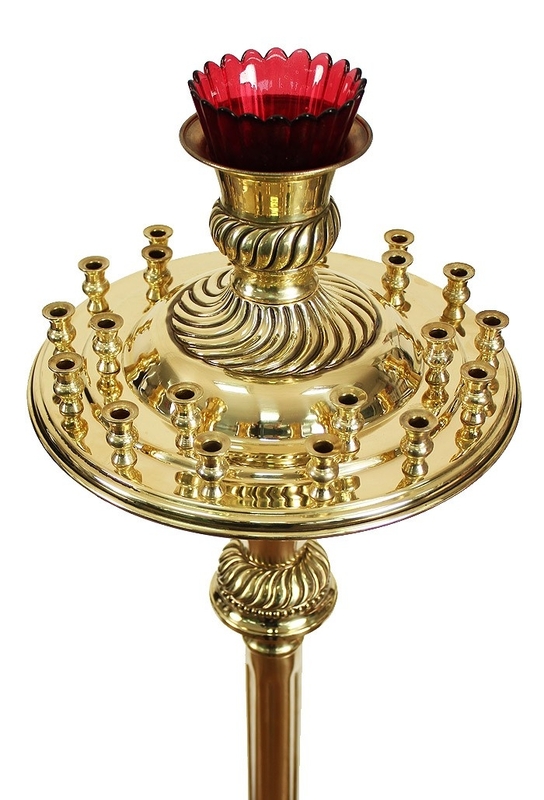 Church floor candle stand - 65 (21 candles) - Istok Church Supplies Corp. 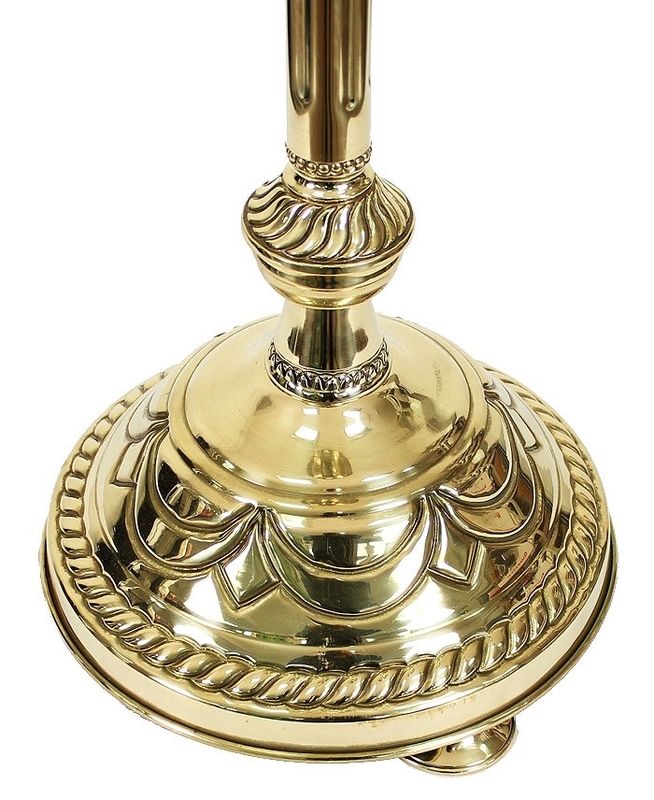 Excellent traditional church floor candle-stand with chasing. Brass, chasing. Size: 10.6''x10.6''x49.6'' (27x27x126 cm).